We are fortunate to have two excellent candidates, each with their strengths and their weaknesses. This sounds way too familiar. We have been down this road before. A Quebec bill from a Liberal government that clearly would not pass the constitutional muster, Ottawa itching to get involved, and a threat of using the notwithstanding clause. The Quebec Liberals used to believe in civil liberties and now I am not sure what they believe in, if anything. Is it a ploy to shore up votes with a traditional client base? Or is this about walking the walk? Quebec is in the midst of a full-blown squirrel debate that has taken on some rather serious dimensions. It's naïve to think that sport and politics don't mix, because sometimes the lines do get crossed. It’s not quite reefer madness but the closer we get to the legalization of pot the more I think the federal government has been pretty much making it up as it goes along. Right now, Jean-Francois Lisée is a desperate man living on borrowed time. Finally this week the prime minister decided to seriously address the growing tide of illegal border crossers. What took so long? While the language hawks can sleep peacefully and count their moutons, there are plenty of bigots around who must be denounced. The tragedy of the asylum seekers coming into Canada is that they're coming because social media lied to them and the blame is on our leaders, says Barry Wilson. There's a lot of questions about the now-infamous Formula E race that need answers from City Hall and Barry Wilson won't be impressed until Montrealers get them. When the government this week started expressing concern about the struggling and fragile anglophone communities in rural Quebec, it kind of felt good and warm all over. You like us. You really like us. This week, we got a little foretaste of what’s ahead for Montreal this summer if you want to get just about anywhere. Postscript: Say it ain't so, Phil. Have we so soon forgotten the last two attempts at nation building? Have we learned nothing from the lessons of Meech Lake and the Charlottetown Accord, aka Meech Light? Jean-Francois Lisée was counting on a deal to make things better for the Parti Quebecois. So were the Canadiens. 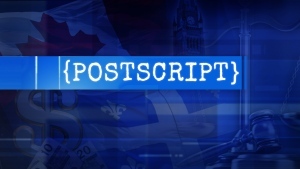 Postscript: Who do Montreal police officers think they are winning over? They have no public support for their contract demands. They have no public support for their clown pants charade. Public confidence in Montreal police is probably lower than it has ever been. There is no doubt there are many gunning for the Quebec Liberals, and not just the opposition parties, but they are the only people with a target on their backs. It's been the week from hell for Quebec's Liberals but Barry Wilson thinks at least Public Security Minister Martin Coiteux got it right when he apologized for answering an English question in French. No matter how they want to spin it, the years of overbilling by Hydro Quebec was a hidden tax. Whether it’s cops or big unions or big corporations, the sense of entitlement seems to be ingrained in this province. There are too many sacred cows in Quebec. Postscript: "They should be ashamed of themselves"
What happened on Tuesday shows just how incompetent some of our public officials are, says Barry Wilson. They should be ashamed of themselves. The Liberals never gave Alan DeSousa a reason why he was rejected for consideration as the nominee in St-Laurent. 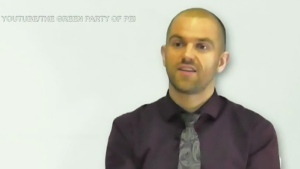 Now, the party has gotten exactly what it deserves, says Barry Wilson. Like George Orwell’s Animal Farm, where all animals are equal but some animals are more equal than others, in Quebec some religious symbols are obviously more equal. Forget Denmark. Barry Wilson thinks there's something rotten much closer to home: in the core of the Montreal police department. There goes the neighbourhood. A chill at the Canada-U.S. border means the times, they truly are a-changin', says Barry Wilson. A community is battered and a province horrified by a shooting in a Quebec City mosque that left six dead. Barry Wilson thinks it's up to all of us to decide what kind of society we're going to be.